Extravagance, lavishness and pure first-class living – these are what luxury homes offer. And that too, is how your luxury real estate website should come across when it is visited by your prospective clients. 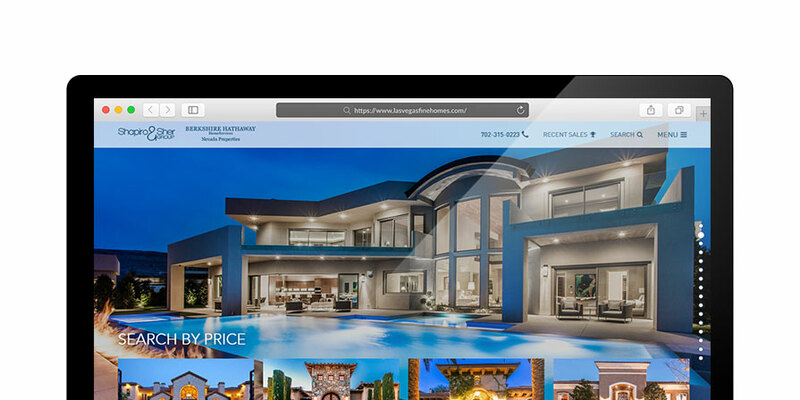 A Luxury Real Estate Website should be able to exude the emotion of lavishness. In luxury real estate websites, branding is probably the most essential message you want to communicate through design. Fonts, colors and site design needs to be consistent throughout for the website visitors’ experience. High Definition Images of your inventory are also a must. How else can you market your listings without these? The pictures needs to be big and amazing and it should all be in high resolution. Providing visual representations that can give justice to the beauty of the properties you’re selling can help you greatly in scoring a sale. However, we shouldn’t be contented with images alone! Since luxury is defined as ‘having more than the basics’, your website should exude the emotion of being lavish. You can add some cool features that makes sense to luxury home buyers. Add Google maps for the location of the properties. Complement the page with virtual and drone tours of the property. New video technology such as Facebook 360 can be used and sent to prospects who opt-in for more information. Property suggest features where the site is programmed to suggest different properties to the user based on their navigational behavior. Include access to private and exclusive luxury homes that can only be seen after registration. Save and compare property functions that can be accessed even through mobile devices. Your website’s navigation falls in the design aspect of this category. A site that has fluid navigation is something that a lot of website visitors will appreciate. Understand that no two customers are the same. Some people will prefer to see kitchen designs of your luxury properties, others will opt to look at master suites. Some buyers might want to filter your listings showing only the type of architectural designs they want while others may desire to see it by location. – It all depends on the preference of your clients. This is why as a real estate professional, you have to be sure of the information people might want to know. A clean and concise navigation design allows for faster, logical and easier access. Content is Vital! Having high res images and virtual tours is not enough to address all the questions that potential buyers may have. Since they are very keen to details, your website should also provide the necessary content that lays out all the information about a property that your clients will want to know. This includes lot area, how many bedrooms and bathrooms the house have, are there any built-in appliances, and the indoor and outdoor amenities that the property features. Another type of content that your website needs to have are blogs. These doesn’t necessarily have to focus solely on luxury homes. Consider the target demographics of your blogs, it can vary from young professionals, growing families, or even empty nesters. Topics can tap anything that coincides to the idea of luxury. Be as creative as possible when publishing this kind of content since it can significantly contribute to your visitor’s overall website experience satisfaction. The main purpose of all content is to establish yourself as the “go-to” person in your city/area for information regarding all things that is luxury real estate related. When a potential buyer visits your website you should never risk the probability of them forgetting the properties that captivated their hearts. Because of this, having functional tools available is appropriate especially in luxury real estate websites. Save buttons are very handy to visitors who are canvassing for a property that they can buy. Send buttons allow your clients to show their wife or husband the home they are eyeing without any hassle. And share buttons that directs to different social media outlets can be a great way to reach other potential clients. Through these tools, there is a big chance that you will be able to evoke an action from your website visitors and this will not only result to better visitor experience but will also be a way of promoting your site. Optimizing your website is one major step that you should never think of skipping if you really want to attain the satisfaction of your site visitors. No matter how beautifully designed, filled up with informational and creative content and doesn’t fall short in providing functional tools your site is, all these will be for naught if people will have a difficult time accessing your website. Furthermore, not only should your website work smoothly on desktops and laptops, it also needs to be mobile friendly. Notice the amount of time people spend using their phones compared to their computers. People nowadays tend to do a lot of online searching and browsing on their smartphones which is why optimizing your website in a way that it will work efficiently in both desktops and mobile phones using any type of browser (IE, Firefox, Chrome or Safari) is one surefire way to ensure good visitor experience.